Today we had an early rise at 7:30, but we enjoyed a scrumptious breakfast at the hotel filled with croissants, sugar-covered donuts, and even pizza! Right after breakfast, we bordered the bus and drove down the Amalfi coast on our way to Paestum in Campania. Even from our seats on our bus, the views were phenomenal and luckily we had the chance to stop and truly take it in. 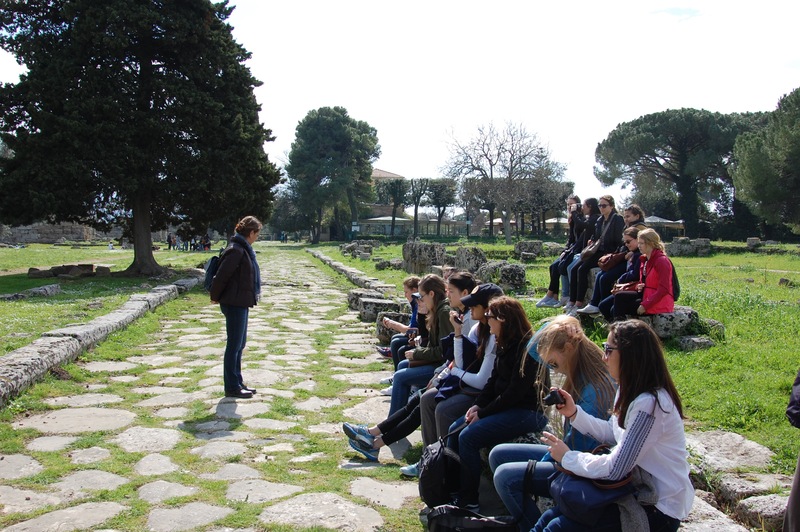 Once we arrived in Paestum, we met our tour guide who showed us around the ruins of the Greek and Roman temples. 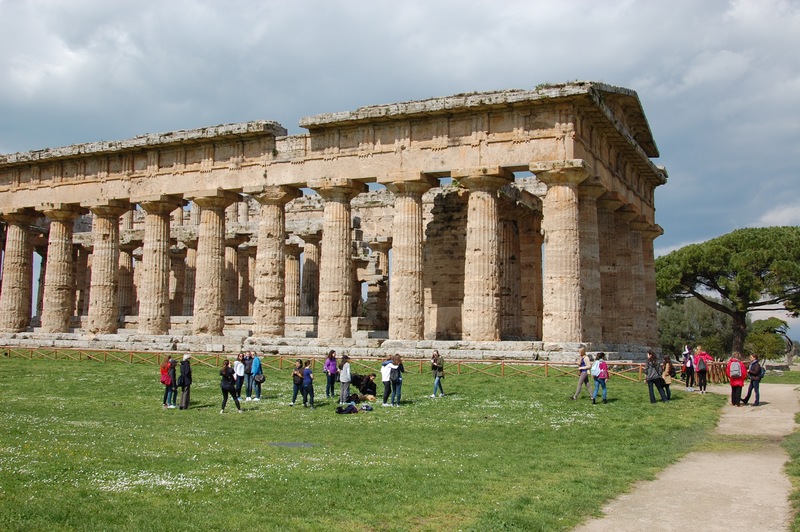 As we learned on the tour, Paestum was originally built by the Greeks, but when the Romans took over, they destroyed and rebuilt everything in Paestum except for the temples. We were awestruck by the age and beauty of these miraculous edifices. One of the most fascinating temples we saw was dedicated to Athena! Fun fact: even in this patriarchal society, the God of wisdom and military strategy was a woman 🙂 Amidst all the prodigious Ancient Greek architecture, we also ran into a dog which we were sure dated back to 550 BC as well! After touring the ruins, we had the chance to have some of Paestum’s famous mozerella at a local restaurant that was absolutely amazing. We then had the chance to stop by the museum in Paestum where some of the original paintings from inside the tombs in Paestum have been stored. We even saw some ancient Greek honey that survived (although not exactly edible) into modern day!